My Girls : Snow Day!! The girls had two snow days this week! So Daddy took advantage and they went sledding! This is one task I'm ok with John handling. 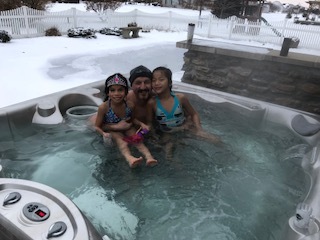 They finished the day with a dip in the hot tub.